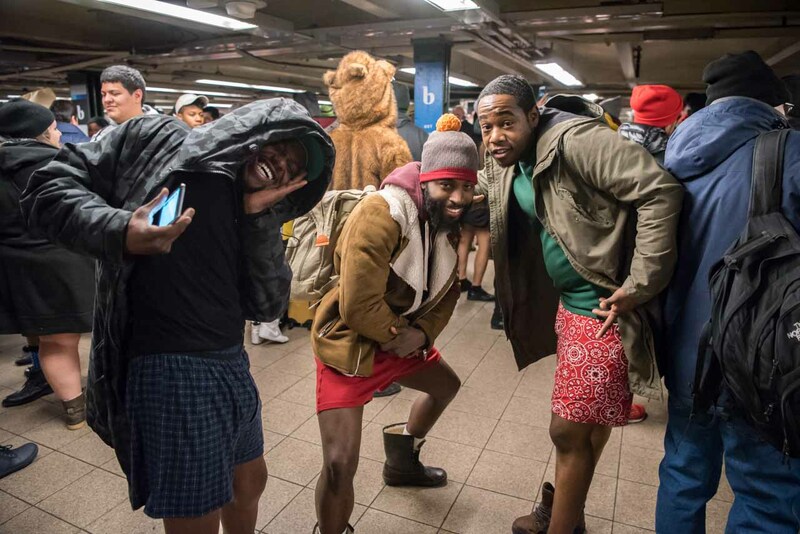 NEW YORK (WABC) -- Subway riders around the world got an eyeful when their fellow transit users stripped down to their underwear on Sunday for the annual No Pants Subway Ride. The event, organized by the Improv Everywhere comedy collective, started in 2002 in New York with seven participants. 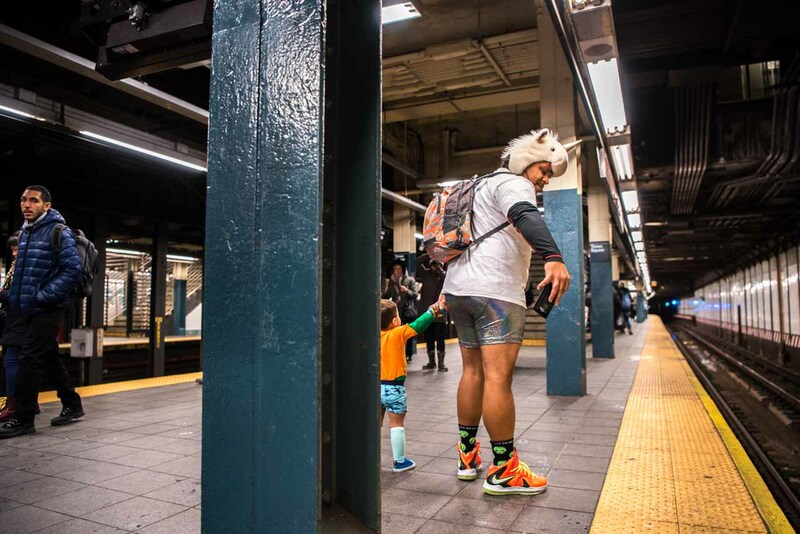 "We want to give New Yorkers a reason to look up from their papers, from their phones, and experience something that's a little different than their average run-of-the-mill stuff," said Jesse Good, one of the event's organizers. 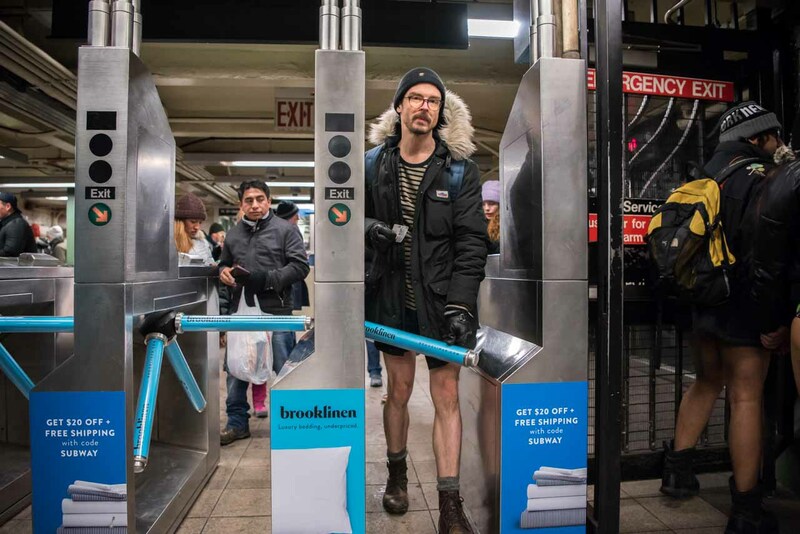 Pants-less subway rides were scheduled to take place this year in dozens of cities around the world, including in Boston; Berlin; Prague; and Warsaw, Poland, organizers said. Philadelphia's version was sponsored by a laundry delivery service, which asked participants to show up with extra pants or other clothing to donate to charity. 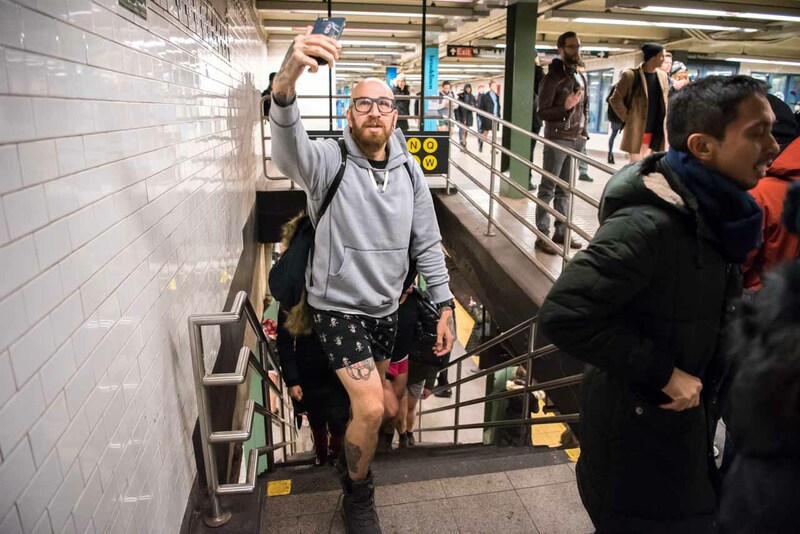 Participants are told to get on trains and act as they normally would and are given an assigned point to take off their pants. They're asked to keep a straight face and respond matter-of-factly to anyone who asks them if they're cold. 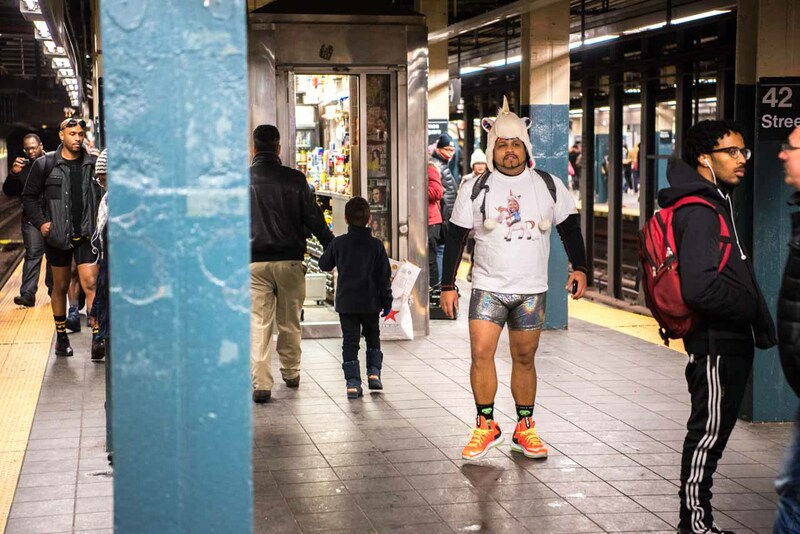 Moments before entering a Manhattan station, Peter Saez said it was his third time going pant-less. "People who don't understand what we're doing will look at us like we're doing something bad or wrong," Saez said. "It's just for fun. It's a fun trip, that's all." Toni Carter planned on stripping down to her tight boxers with little polka-dots. "Not very often do I have an opportunity with a group of people to take my pants off and show it whatever I got to show," Carter said. "I'm entertaining New York City. This is my form of art." Wei Wei, a student from China who just moved to New York, was curious about the event but was on the fence about whether she was going to go through with taking off her pants. But there was no hesitation for Angela Bancilhon, a tourist from Australia who had her husband and two young sons along for the ride. "It's fun. Why the hell not?" Bancilhon said. "We're in NYC. Why wouldn't you?"